Multi-row 18K gold bracelet with natural color drusy agates (141.32ctw) and pavé diamond sections (3.41ctw), with hidden clasp. ​Pamela Huizenga was spending her time studying to become a certified lapidary. Earrings in 18K gold with a carved 55.37-ct aquamarine, 2.12-ctw Polki cut diamonds, and 1.96-ctw sawn white rough diamonds, omega back. 18K gold pendant with 107.96-ct Australian opalized wood, diamond frame and diamond enhancer bail (1.485ctw). 18K yellow gold "Sting Ray" brooch with 14.56-ct Mexican fire opal, 0.24-ct sapphire eyes, and 3.94ctw pavé diamond body. 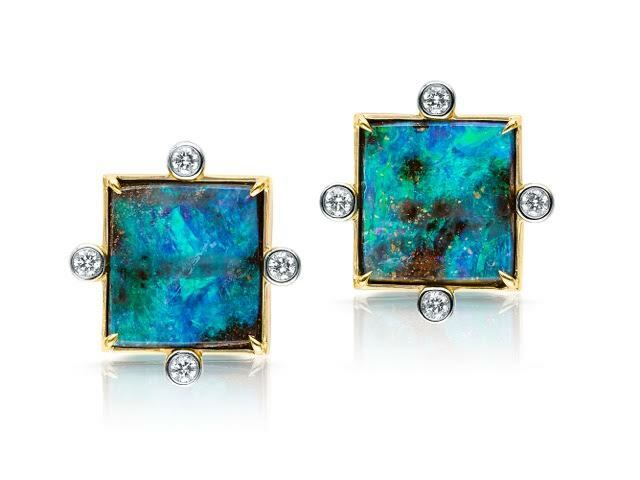 Pair of 18k gold stud earrings with 8.64-ct Australian boulder opal and diamonds (0.26728ctw). Since early childhood, Pamela Huizenga has always loved rocks. “My mom says I would come home with pockets full of fossils and stones,” she reminisces. “If it was sparkly, shiny or interesting, I had to have it.” Later, when she was about twelve, her family vacationed in North Carolina and took her to some of the "mine-your-own gemstone" places where she became fascinated with gems and minerals. 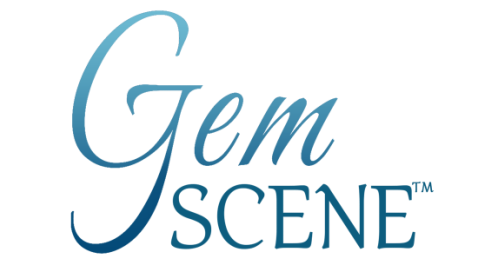 “Although high school and college got in the way of my stone cutting,” she continues, “the world of gems and minerals was never far away.” By 19, after working for a gem dealer at a local exchange, the talented teenager started her own business selling pieces from various jewelers. Since then, she has been involved in all aspects of the jewelry industry—as a buyer, retailer, seller, consultant, and designer. Today, she concentrates on what she loves most—designing and stonecutting. “As a lapidary,” Pamela muses, “I work directly with each of the stones I use, focusing on its color and shape, allowing the gem to guide my hands and tell me how it wants to evolve. I work with its imperfections, instead of against them, which makes each design unique and gives it character.” Although she doesn’t cut every stone in her designs, she does cut the opals and some of the more unique rough pieces. Pamela’s unique ability to pair unusual and rare gemstones in her stylish and timeless designs attracts jewelry collectors who are always looking for something new. Inspired by the dichotomies in Nature, this gifted designer expresses both the calming and dramatic force of the oceans, the serene and yet vibrant colors of the deserts, and the contrasting hues of the world’s forests. Her boldly intimate use of precious and semi-precious stones— often mixing and matching unlikely textures and shapes— truly demands attention. There is an earthy complexity about her designs that is both sophisticated and primeval. From cutting and polishing stones, to layouts on her signature duct tape, to design and manufacturing, Pamela’s hand touches every step in the creation of her one-of-a-kind pieces. 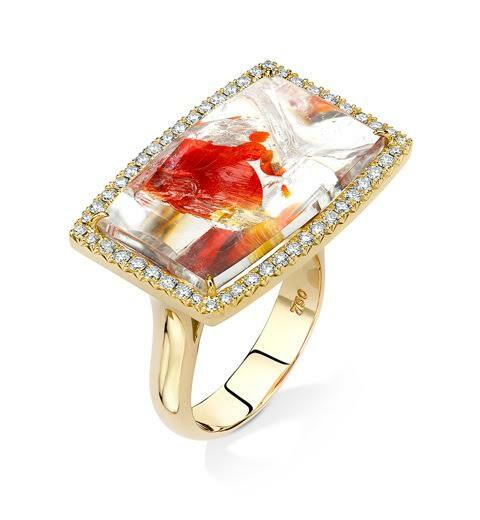 And, these original works of wearable art may include such exotic gems as hemimorphite, uvarovite, drusy agates, emerald slices, fossilized coral and wood, as well as luxurious multicolored sapphires, garnets, rubies, aquamarines, diamonds, and tourmaline. From show-stopping bracelets and pendants to striking earrings and sophisticated rings, each piece of jewelry is a conscious artistic expression. Three-inch long pendant with rare Bronze Age European Urnfield Culture bronze wheel and diamonds (0.24ctw). Circa 1200-1000 BC. It is said that the person who wore this pendant had immense power. Ring in 18K gold with 21.12-ct rectangle "Dragon's Blood" hematite quartz with diamond frame (0.65ctw). Pendant in 18K gold with 74.86-ct fossilized Sequoia wood (Hell's Canyon, Utah) with surrounding diamonds (0.72ctw).